I usually don't get excited about concealers. I would even say that I find them boring. They're here to conceal the misery of dark circles or blemished skin, how fun is that compared to a coral lipstick or metallic eyeshadow? Yeah not too fun... But, there's always a "but" in my stories, I've just found one that made my heart beat a little faster, that's unusual enough that I had to share my experience with you! Clarins Instant Concealer, subtitled Smoothing, Long-Lasting - Revives Tired Eyes, is a pretty popular concealer that seems to consistently receive great reviews. 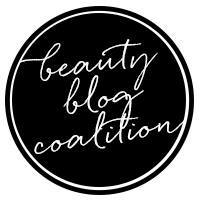 Okay, it's not causing hysteria like, say, Tarte Shape Tape Concealer is these days, but it's generally described by bloggers and consumers alike as a solid choice. So when I finally finished my Dior BB Eye concealer, I decided to pick this one in shade 01 as a replacement. The Dior was okay-ish, but it didn't stay put very long, and it didn't hide my dark circles as much as I wanted. Oh and it's been discontinued. I use concealer primarily under my eyes, so let me give you a bit of background information on that area first. It's a mess. I've been struggling with my undereyes for months. You see, the skin there typically gets dryer in the winter, and then goes back to normal as soon as the temperatures rise. Except that this year, it didn't. I guess it's age (*insert expletive here*), but the skin under my eyes has been super dehydrated all year - thank you 2016! Because it's dehydrated I have a lot of fine lines, and many concealers that used to work well for me now look awfully cake-y and dry - for example theBalm Time Balm Concealer. Here's a good reason not to stock up on skincare or makeup favorites like I did if you needed one: your skin changes. On top of my dryness issues, I have rather severe dark circles. I've always had them, and no matter how much I sleep, they won't budge. The darkness isn't just under my eyes actually, it's all around them, including the side of the nose and the upper lid: everything is discolored. 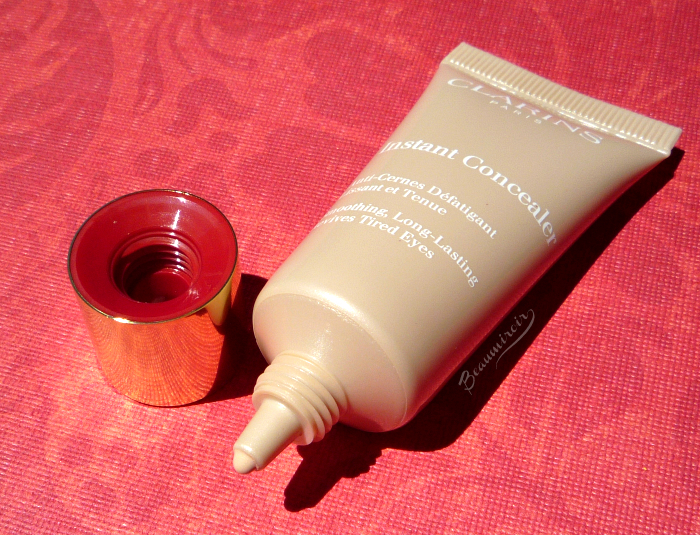 So I wasn't expecting a miracle from Clarins Instant Concealer, but a bit of help. To my surprise, I got much more than I was hoping for! The Instant Concealer comes in a simple but elegant beige tube with a golden screw-on cap in a very generous size: it contains 15 ml (0.5 oz). For comparison, Nars Radiant Creamy Concealer is 6 ml (0.22 oz), Urban Decay Naked Skin concealer is 5 ml (0.16 oz) and Make Up For Ever Ultra HD Concealer is 0.23 oz. That's something to keep in mind when you consider the price tag of $31. Yes, it's more expensive than the other concealers I mentioned, but there's two to three times the amount of product in the tube! 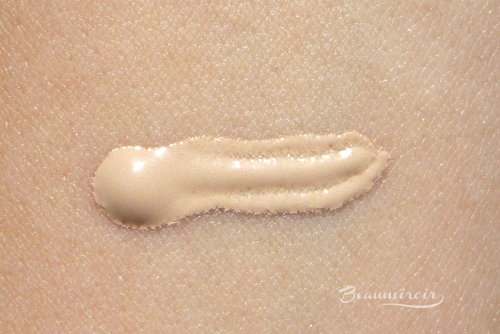 The concealer is a creamy fluid that spreads easily on the skin, while delivering very good coverage. I wouldn't say that it's completely full coverage, but it's opaque enough to cover my dark circles really well while feeling very lightweight and looking extremely natural. That's the great thing about this concealer: it does a fantastic job at brightening my eyes by erasing the discoloration, yet it looks almost invisible. The other thing that explains my obsession with this concealer is how easy it is to apply: just dabbing it with my fingertips yields near-perfect result! No need to spend time working with a brush or sponge, it offers very even coverage without any effort. Now that's what sealed the deal for me! Because of the dryness I've been struggling with, I've had to use a brush and/or a beauty blender with all my other concealers to get a decent look that wasn't dry, patchy or cake-y. Not with this one! I also only need a tiny amount for each eye, so the tube is likely to last me 6 months, if not longer. Considering all the fine line action I have going on under my eyes, I do have to set it with powder to avoid creasing. When I do, it stays fresh most of the day - as long I as I don't rub or scratch my eyes - which is pretty impressive. It's also comfortable to wear, neither drying out my skin further nor turning oily with time. 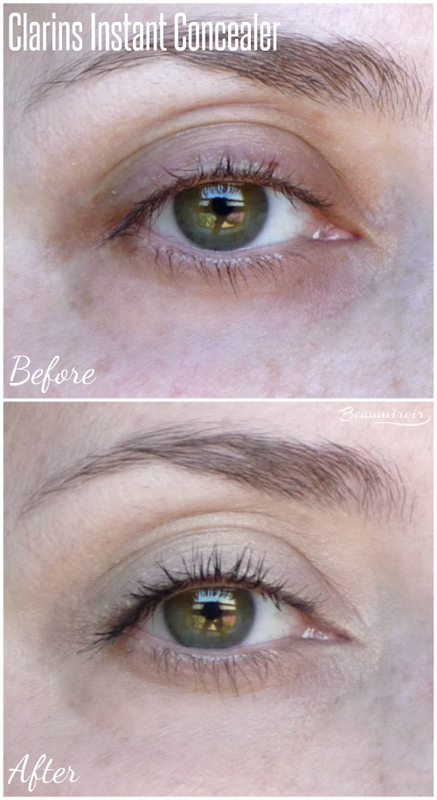 As you can imagine, I've tried to fix my undereye dryness issues with eye creams. After months of trials and error I finally found the one that helps: Kiehl's Avocado Eye Treatment. That thing is a very rich balm loaded with shea butter. 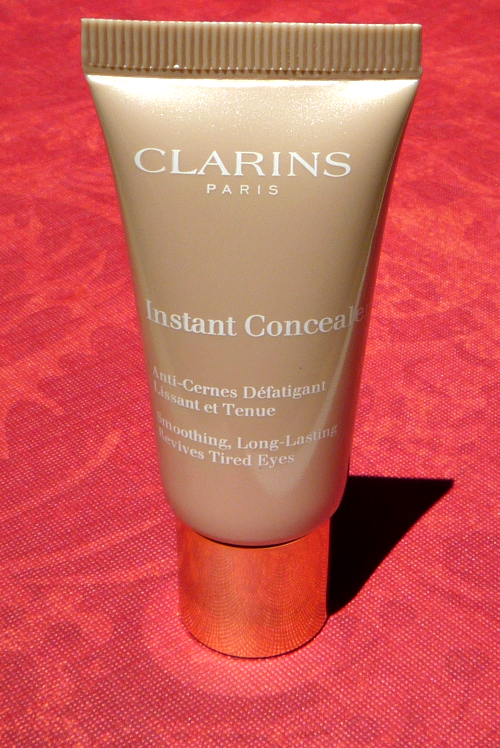 Luckily Clarins Instant Concealer works perfectly on top of it, it doesn't slide around or ball up. It's been my winning undereye team for weeks! The one thing about this concealer that could be improved is the shade range: there are only 4. 01 is a perfect match for me, a light beige with soft yellow undertones, which means that it won't work for very fair skin tones. Hopefully they will eventually add shades to the range to accommodate deep complexions as well as the fairest skin tones. 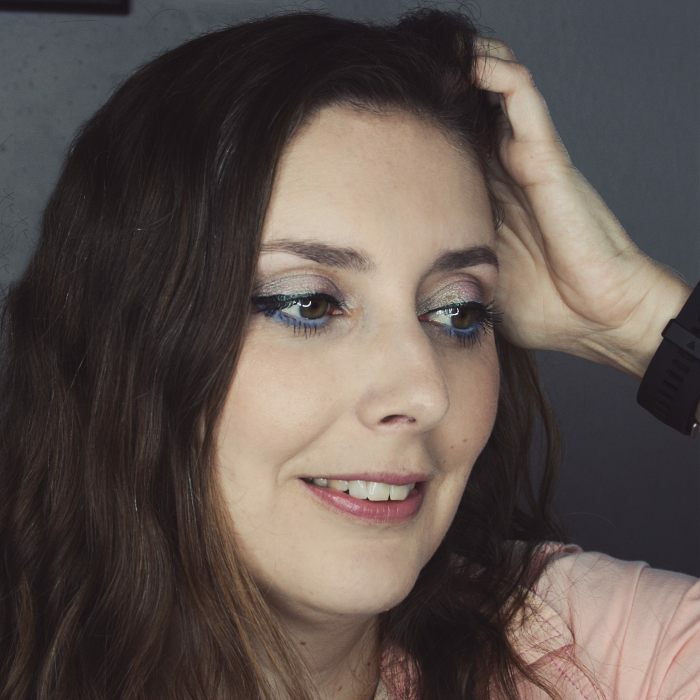 You can see good swatches of all the shades by Isabella the Muse here to check if there's one for you. 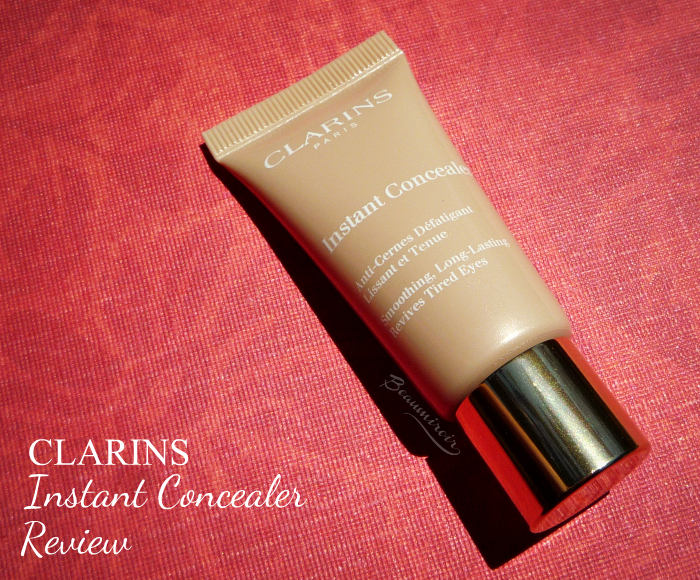 If you have dry skin under your eyes and you're looking for a concealer that will cover dark circles well but not emphasize your dryness, Clarins Instant Concealer is a great option. 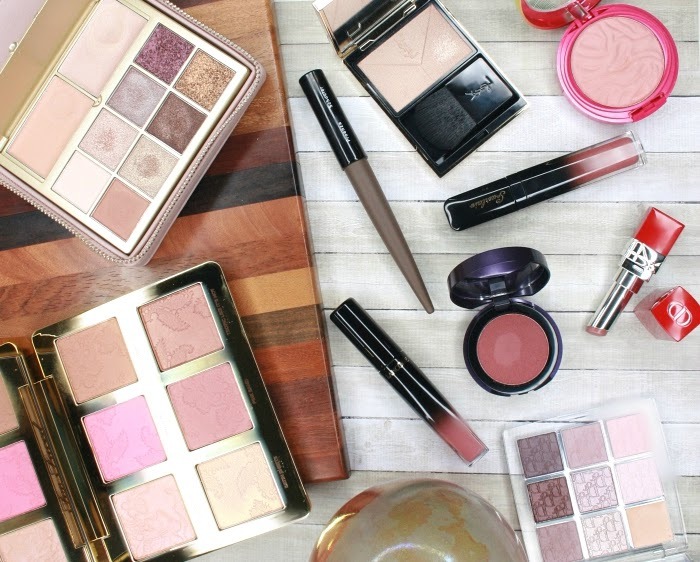 It yields very even high coverage that never gets patchy on my dehydrated skin. It may be a little pricey, but it comes in a large tube and you need very little, so it's actually cheaper than most high-end concealers in the long run!